So, I can imagine your first question is what is ZMOT? 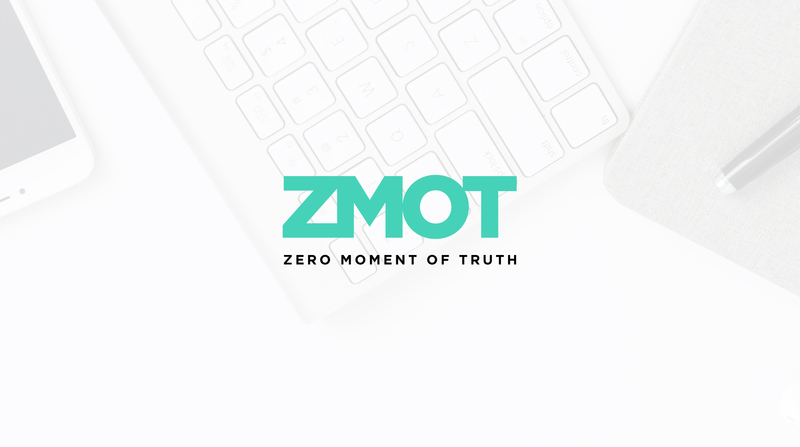 Well, the zero moment of truth (ZMOT) refers to the point in the buying cycle when the consumer researches a product, often before the seller even knows that they exist. The number of consumers researching a product before they decided to purchase it has grown exponentially over recent years – in 2011 60% of customers made their purchasing decisions online, this number has grown to 88% in 2017 and continues to grow year on year. So, let’s take a look at a typical ZMOT scenario and how it can affect your business. 1. Richard sees a billboard advertisement for a new television whilst driving home from work. This billboard acts as the stimulus as it increases Richard’s interest in purchasing that television. 2. Once home, Richard continues to think about the television and decides to conduct research, this is the Zero Moment of Truth. At this point, Richard begins looking at the brand’s social media channels, website, online reviews, Google and more. 3. The next step is purchasing the television. This is the first moment of truth and before ZMOT this was the second step. 4. Lastly, the second moment of truth is where Richard experiences owning the television and its benefits and drawbacks. ZMOT doesn’t solely affect B2C, it also has an affect on the B2B market. Business’ must now recognise and accept that the purchase journey has changed forever, resulting in a shift in marketing efforts, budgets and conversion rates. Digital marketing, or more specifically, content marketing, is how businesses build communities, develop brand advocates, lower acquisition costs, increase conversion rates and increase customer lifetime value―all of which signal a healthy, sustainable business built to thrive in our digital-first world. Newer Post Elixir To Expand After Awards Success	Older Post Should You Outsource?